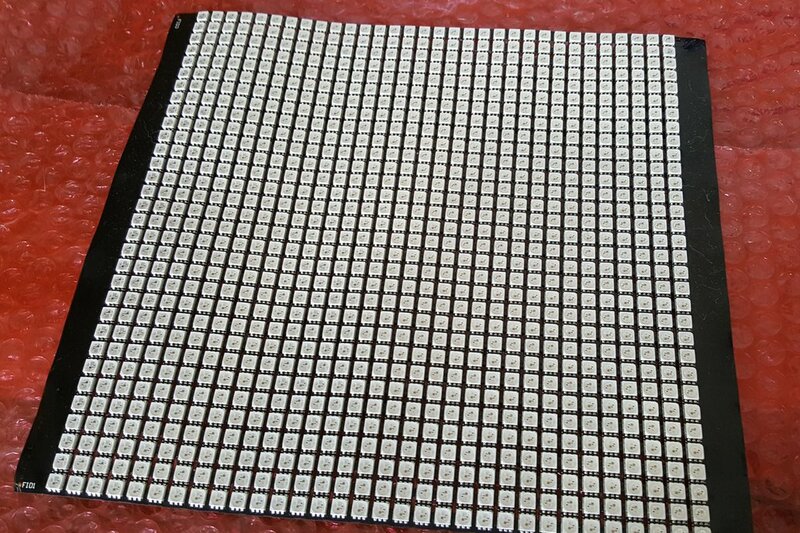 These 32x32 LED Arrays are made on a flexible PCB. They were designed by me and built by a US based company. 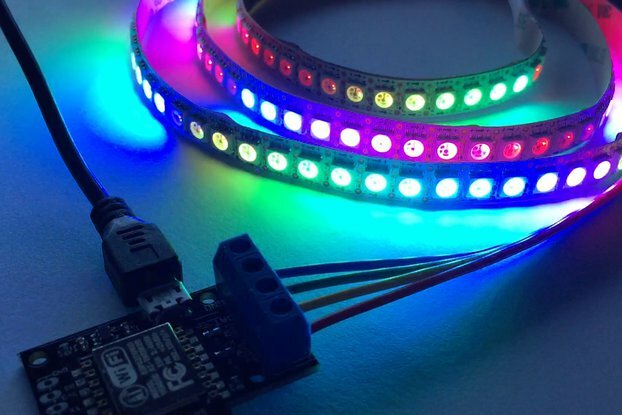 The 1024 WS2813 LEDs are controlled the same way as the WS2812 Neopixels. Their added benefit is they have an alternate data line so that a single LED doesn't stop the transmission down the line. These panels where made to provide a wearable display for the Audi Player Index for MLS Soccer. You can find pictures of them in action here. 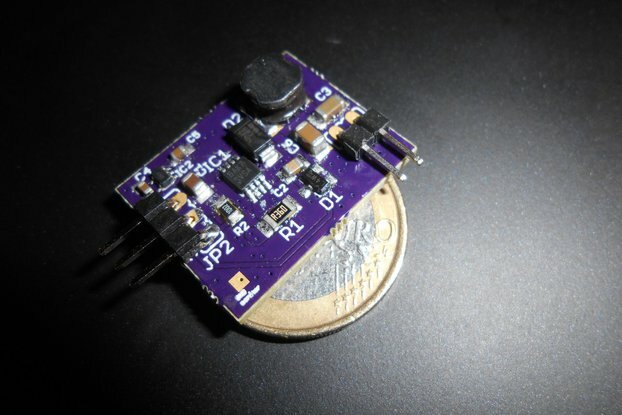 Even Though it can go down to 3.5 V. Do not power these directly with a lithium battery, use a boost converter if you need to power these via battery. The switching currents within the array cause the individual LED voltage to drop below 3.5 Vdc when a lower voltage supply is used. This will cause Errors in data transmission and garbled displays. Remember depending on your Brightness these can produce a lot of power and therefore self-heat. Full White = ~300 Watts when using a 5.0V supply. It is recommended to keep your maximum current to under 15 Amps if you are installing this in a wearable. Save $50 if you buy the Recycled Panels. New panels have never had wires connected or been powered up and have not been handled at all. 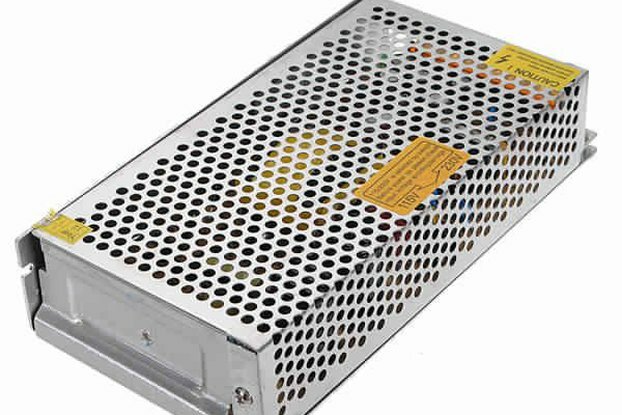 Product functions as described by seller.Does require a beefy power supply to prevent data signal loss.looking for a good constant voltage converter to power to test these arrays in a portable setting.Otherwise very pleased with purchase. Glad you enjoyed the panels, If you would like some help designing or building a portable power supply let me know. If you need any more assistance with the panels also let me know that.